Tibor's photo taken on 14 April 2015. 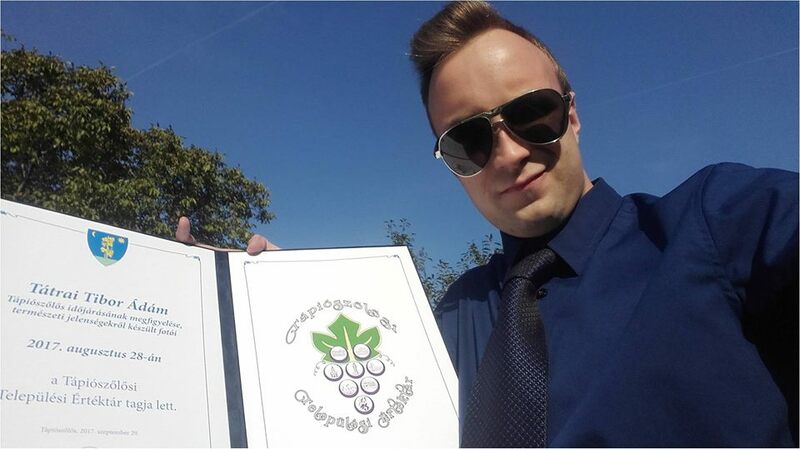 Tibor Tátrai, one of the most prominent and active figures of the Hungarian halo scene died at the age of 22 this week. He had been watching the sky since his teenage years, and made many excellent observations. He was our diamond dust king who had more diamond dust observations in his short life than most of the senior members. 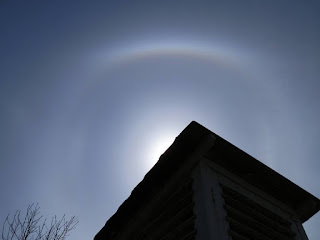 His last post in our forum this Tuesday was about a dream he had on halos: "I was dreaming about diamond dust and a 22 degree lunar halo with paraselenae on both sides. 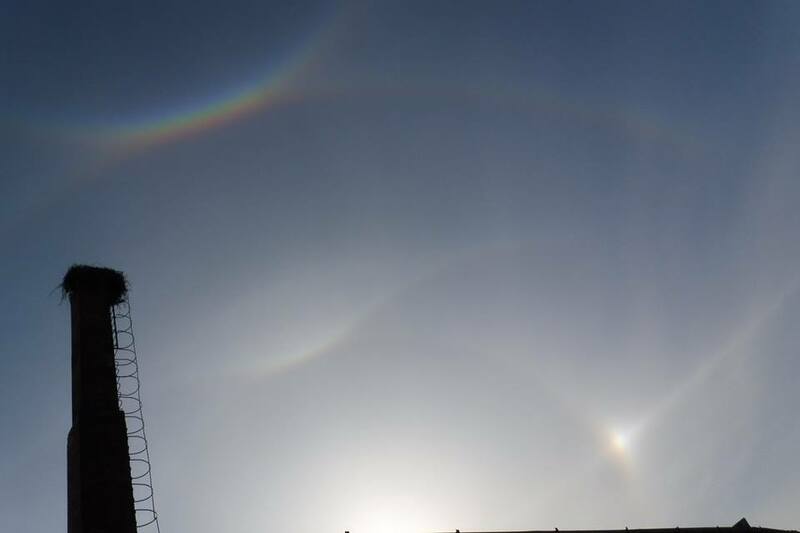 (...) In the morning the diamond dust fall continued, and in the sunshine the lower tangent arc became visible. In the afternoon there were showers and May weather, and in the clear Western sky a rainbow appeared, while the sky was cloudy above me. The rain was falling, and I was walking in the garden. In my dream I was thinking about how the afternoon Sun could be in the Eastern sky, and how there could be a rainbow if clouds were covering the Sun (...). Yet, I continued photographing happily." Last summer he received an award from his village for his photos which became the part of the village's "treasure trove".